And you said it couldn’t be done! Well, that’s not true. You never said that. I may have said that. Once. Twice. Half a dozen times while working the ever increasing rows that would not end. But can you blame me for doubting myself? As my dad so succinctly put it, it takes me two months to knit a single pair of socks. 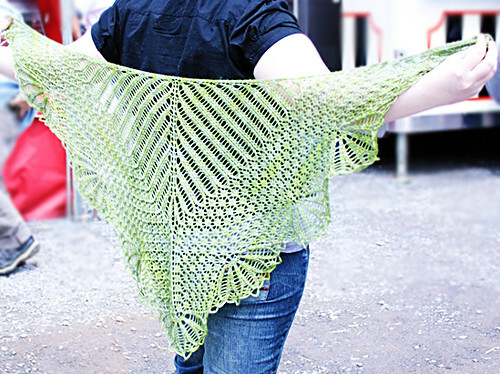 What in the world made me believe that I could knit a shawl in 72 hours? First and third pictures courtesy of Cristi, whom I was so very pleased to meet for the very first time on Saturday. Second picture courtesy of Pam, whom I was so very pleased to get to see again. And look at how lovely they look together! You do absolutely beautiful work!!! That is stunning. Well done! Your shawl is absolutely lovely. Look at you in that first picture, Miss Sassy Pants! I’m still blown away that you finished that thing in three days. It’s stunning. It was great seeing you again! I am so glad you came back to the house to hang with us! Dang! You go girl! 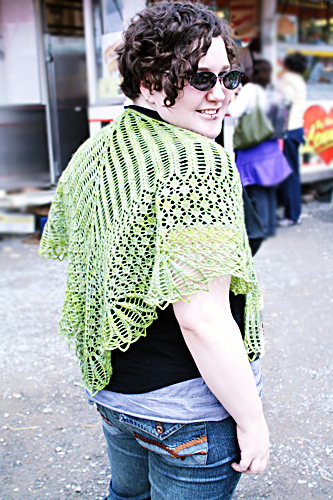 You rocked that shawl! It’s fantastic! 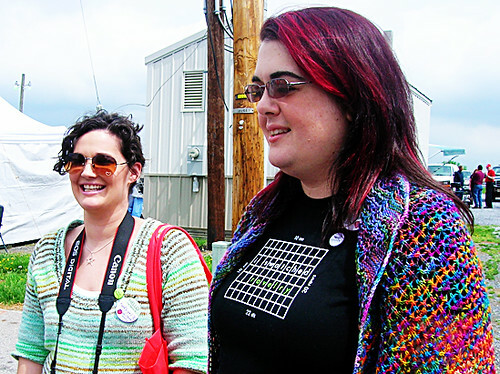 Speed-knitting skills for the win! Dude. Pam’s pic blows mine away. Awesome color! 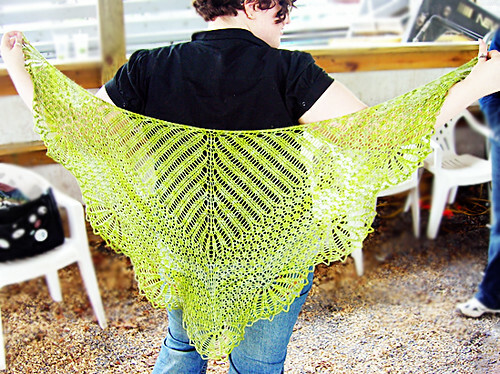 The shawl is even more gorgeous in person.